On August 16th General Atomics Aeronautical Systems, Inc. (GA-ASI) flew a MQ-9B SkyGuardian Remotely Piloted Aircraft (RPA) from Laguna Airfield at Yuma Proving Grounds, Arizona, through National Airspace, to its Gray Butte Flight Operations facility near Palmdale, California. The MQ-9B is a STANAG 4671 (NATO airworthiness standard for Unmanned Aircraft Systems)-compliant version of the Predator B product line. The 275-mile/443-km trip lasted approximately one hour, 45 minutes and required Federal Aviation Administration (FAA) approval to fly through various classes of non-restricted airspace. «This flight is another milestone in our progression towards delivering an RPA system that meets NATO airworthiness requirements for Unmanned Aircraft Systems (UAS)», said Linden Blue, Chief Executive Officer (CEO), GA-ASI. 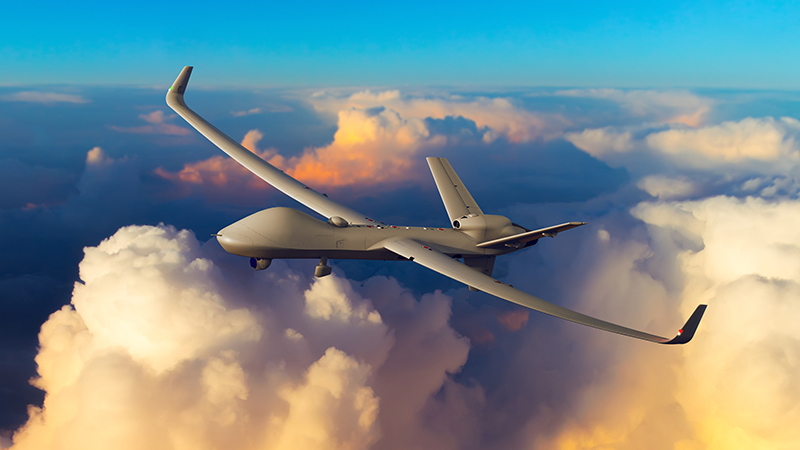 «MQ-9B SkyGuardian will be the first RPA system of its kind with a design-assurance level compliant with international type-certification standards, and can therefore be integrated more easily than legacy RPAs into civil airspace operations around the world». 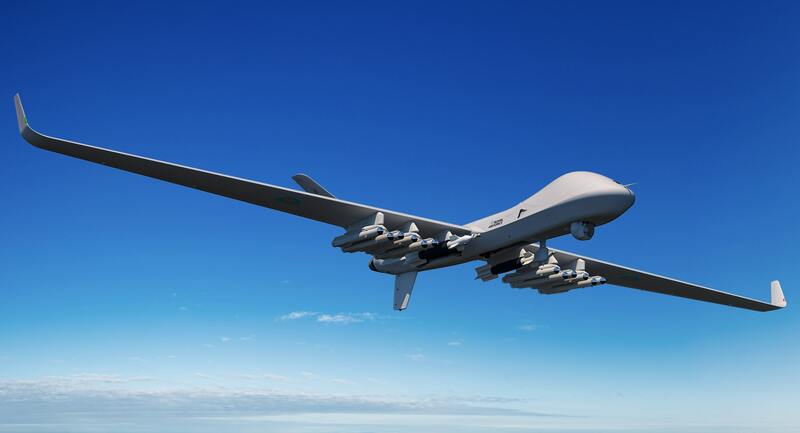 A weaponized variant of the system is being acquired by the UK Royal Air Force (RAF) under the MQ-9B PROTECTOR program. A maritime patrol variant, SeaGuardian, is designed to support open-ocean and littoral surface surveillance. All variants are designed to fly in excess of 35 hours with airspeeds up to 210 knots/242 mph/389 km/h, and to reach altitudes of more than 40,000 feet/12,192 m.